Bloc Party in Montreal or Quebec City? Inform me about the next events for Bloc Party. Enroll yourself to our priority waiting list for Bloc Party to be alerted when new tickets are available. Filling this form doesn't engage you to any purchase. 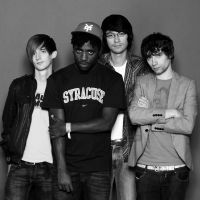 Bloc Party will be part of the Osheaga music and arts festival, which will be held from July 29-31, at Parc Jean-Drapeau. The British Indie pop band will also be performing in Quebec City, on July 27th, 2016, at L'Impérial de Québec. With a new album in hand, Hymns, which was released last January, Bloc Party will have some new tunes for their fans, as well as old classics !